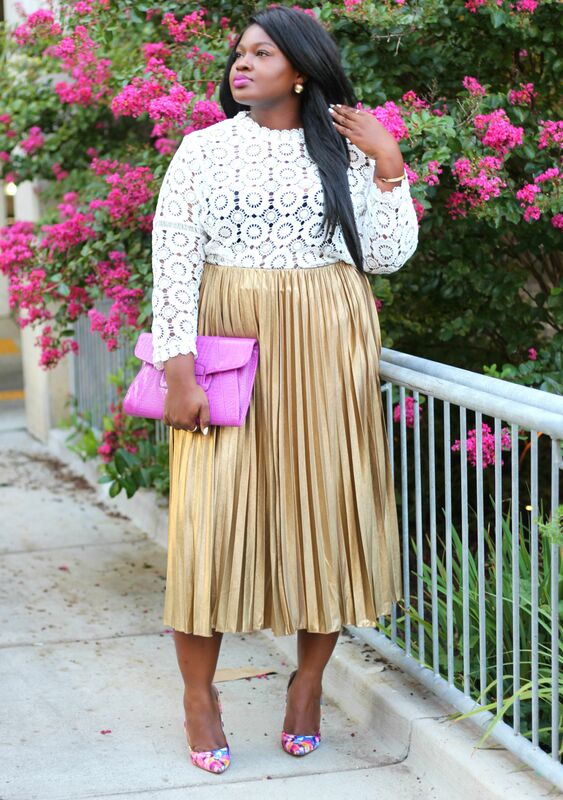 Hi, Chicsters in today’s post we will be discussing occasion wear for curvy girls and wedding dress codes. Although spring and summer tend to be the favored seasons for weddings fall is also a pretty top contender. So if you have any weddings coming up in collaboration with Simplybe ill be sharing two looks one look that will be perfect for day and another that will be perfect for night. Daytime weddings tend to be a little less formal, typically your dress code calls for Dressy casual or Semi formal. Think garden or barn wedding or even a daytime reception; always factor in the time of day for night time wedding keep your palette darker for day time lighter. For semi formal weddings you do not have to purchase a dress you can repurpose pieces (separates) you already own to create something appropriate. For this look I choose this White lace crochet top I always say it’s a good idea to have a selection of dressy tops. The high neck on this Top is very Fall 2017 with its Victorian vibes however the white keeps it still light, fresh and appropriate for day wear. 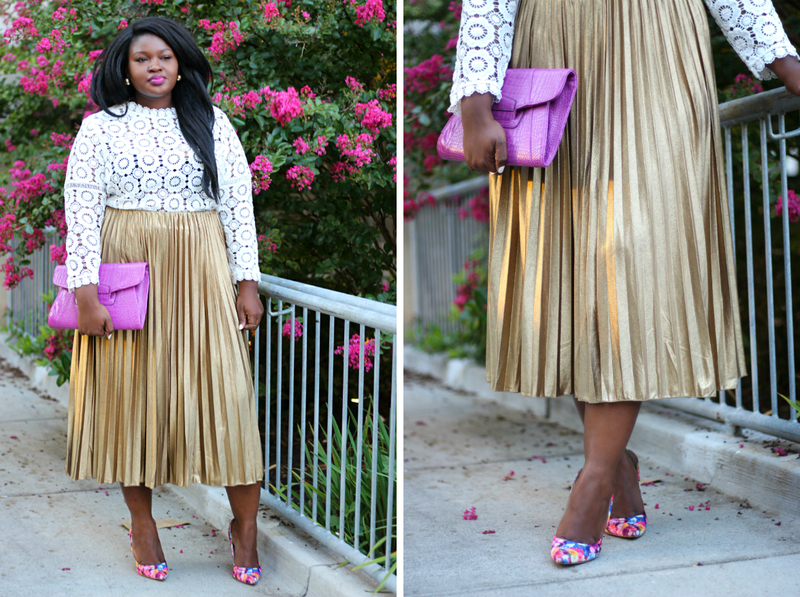 On bottoms I went with a Metallic pleat skirt, metallic pieces tend to add a dressed up touch to an outfit if done right. This skirt is in an A-line midi silhouette so it long enough for any scenario also pretty flattering. 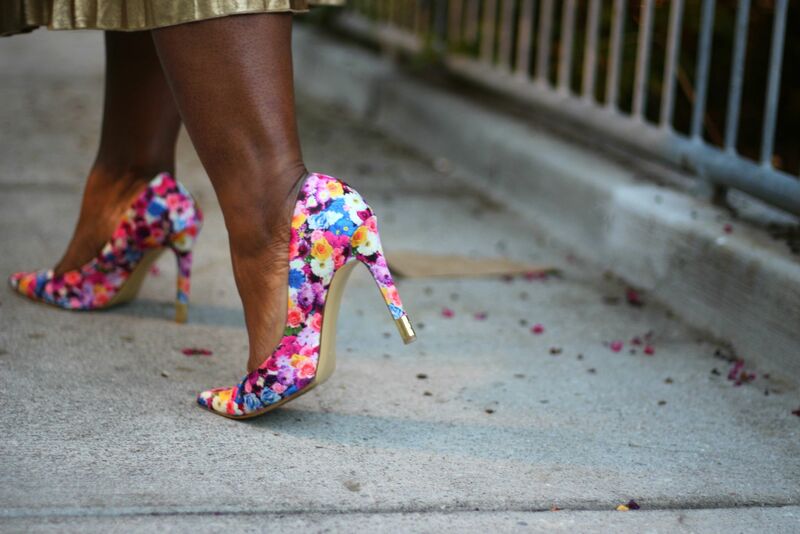 Finally, to finish off the day /garden party theme I went with a Floral pump (found this pair for under $30) and a Purple clutch. Black tie means formal but not as formal as White tie; typically signals a formal evening/night wedding. Attire a floor length gown and possibly a shorter cocktail dress, for the guys think tuxedo. Nothing says cocktail/formal like black so the nighttime look I went with is a classic LBD with a twist. This is look is perfect for a Black tie optional dress code which isn’t as formal as black tie but requires an appropriate level of dressiness. This Magisculpt LBD is made with sculpting tech to help shape your curves. The dress features a mesh panel up top with flair sleeves that have a velvet accent. Dresses like this with details around the bust draw the eye upwards and are perfect for my pear shaped girls. 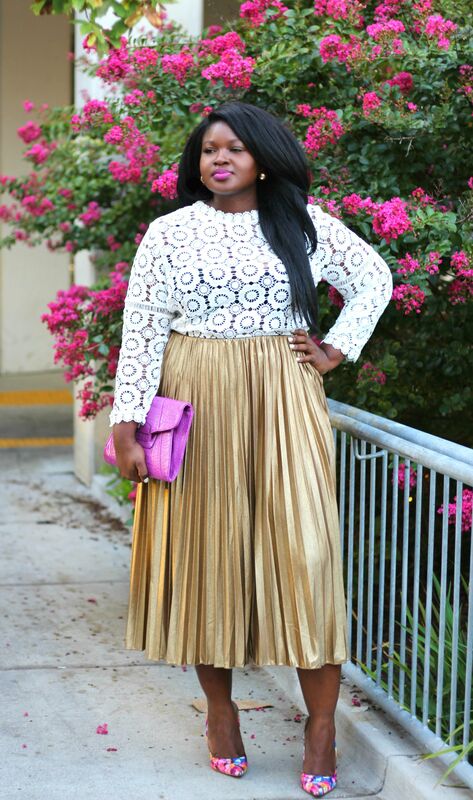 TIP: Dresses like this with details around the bust draw the eye upwards and are perfect for my pear shaped girls. To finish up the look I added touches of red in form of my Pumps and favorite lip combo. A go to look that would work at any Black tie optional wedding. 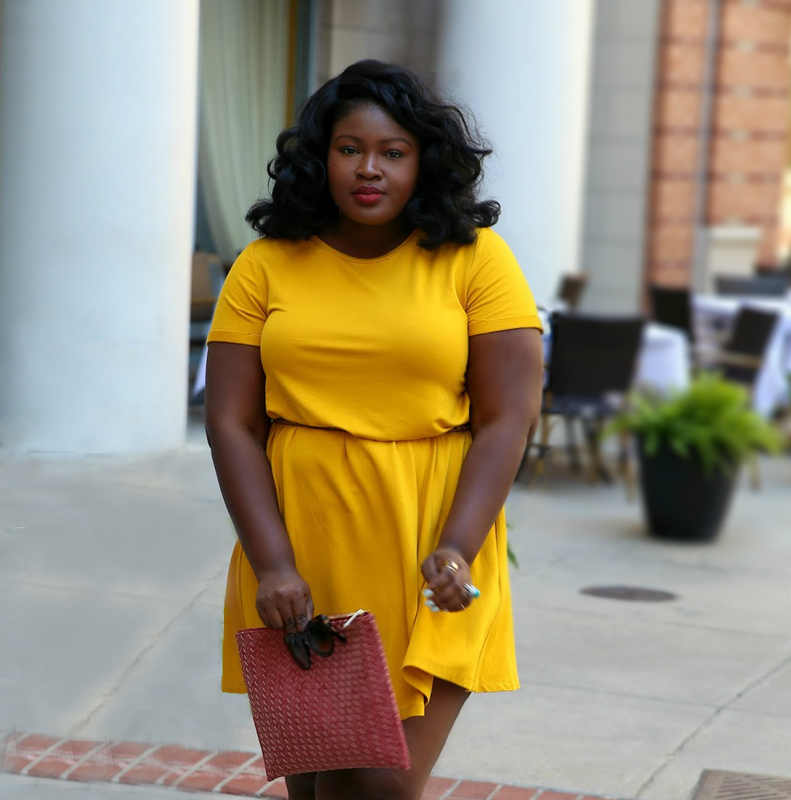 * Post was sponsored by Simplybe. All opinions are my own.